Text List	and Rich Text Views	give a report’s users a short version of the data in each row on a report. Views are customized to include the text and column data of the user’s choice. To add a View to a report, in the Report Designer , click the Add	button in the views section and select the type of view from the drop down menu. 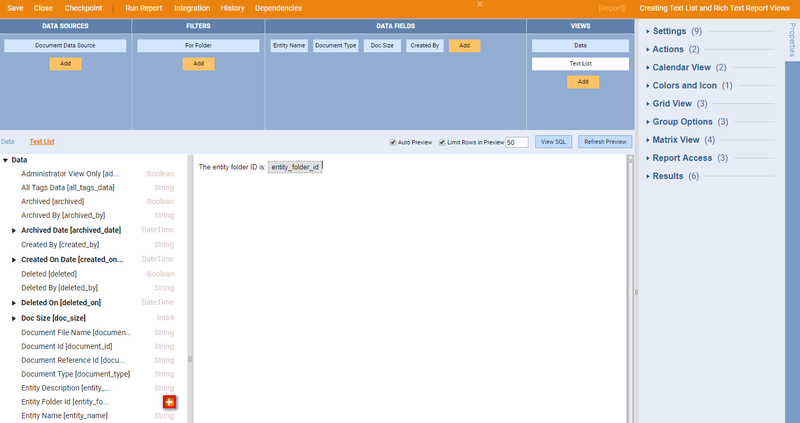 In the box, enter a combination of the text and columns to create the view. The user could enter a customized view such as “The folder ID is [folder_id]”. 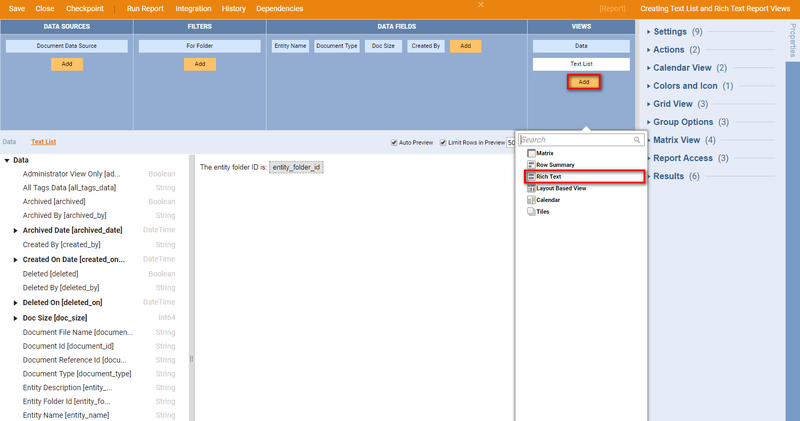 Add the desired text and then, from the list of available columns, click the Add	button to the right of the column to include the column data in the view. To add a Rich Text View	, follow the same procedure as was just done with the Text List View	, then enter any combination of text and columns in the box to create the view. In this example, we will use, “The entity folder ID is: [entity_folder_id]”. Save the report and close the Report Designer . 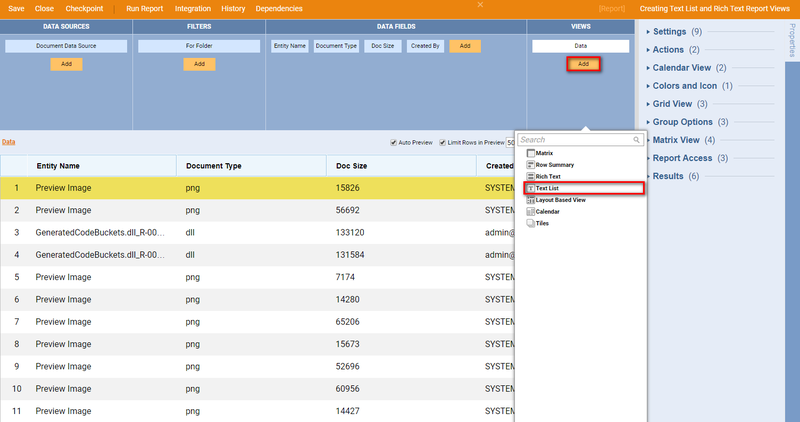 To view the report Text List View	and Rich Text View	, select the Report Actions Menu	and select Run Report	. The report is run and displayed in the gird view by default with other icons to use to navigate to the Rich Text	and Text	List Views	. To view the Text List View	, click on the View Mode: Text List	icon. To switch to the Rich Text	View	, click on the View Mode: Rich Text	icon.